An excellent feature of React.js is it can escape XSS by default. Developers have always been drawn to React.js due to universal rendering benefits. This is the ability to render single page application on server-side and send client the html thereby, letting client be interactive without any need to re-rendering of the full page. 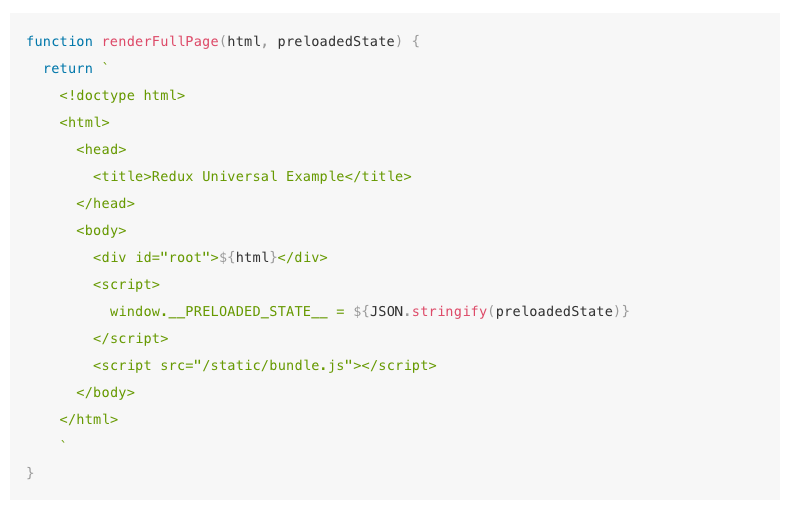 Redux library contains the documentation regarding how this functionality is provided. The below code is featured as it is in the documentation. The above code snippet doesn’t reflect an obvious security issue. Even experienced developers are unable to notice the issue. Nevertheless, the issue is how will we pass the Store state into the application. The vulnerability lies in assigning JSON.stringify call to a global variable inside the script tag. Browser on parsing the html of web page will come across this <script> tag and it will keep reading it until it reaches </script>. This means on loading the client an alert notification will be received stating “You have an XSS vulnerability”. Fortunately, there are plethora of awesome resources present in Open Web Application Security Project addressing the serious issue of XSS vulnerability. We need to ensure every input should have HTML entity espaced. Upon using React.js maximum XSS vulnerabilities are left as it is on account of its method of creating DOM Nodes and text content. 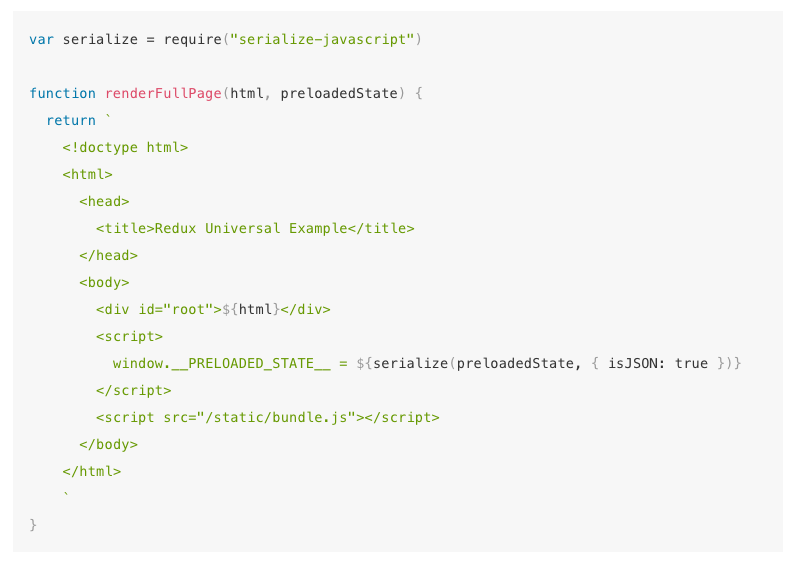 It is important to serialize the state on server that is supposed to be sent to the client at the same time ensuring HTML entities are escaped. In case of receiving the data over client side it will works similar as before and expects you have all HTML entities in string escaped. It looks like: \\u003C\\u002Fscript\\u003E rather than as </script>.